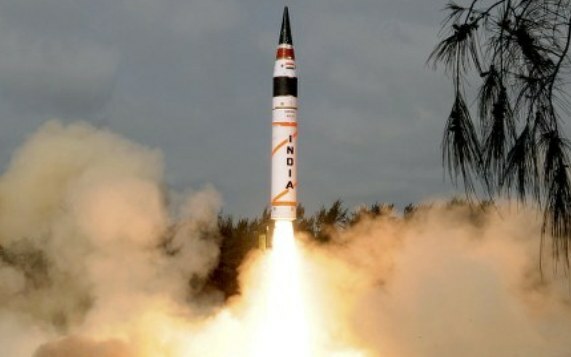 ONI Bureau: India successfully test-fired its indigenously developed nuclear-capable ballistic missile Agni-V from the Abdul Kalam Island near Dhamra off Odisha coast in Balasore at 1.25 PM on Monday. The long-range missile launched from launch pad-4 of the Integrated Test Range (ITR). Agni-V is capable of carrying 1.5 tonne of nuclear warheads with a strike range of 5000 km. This is the seventh trial of the indigenously-developed surface-to-surface missile.